According to Graves & Co., a Houston-based energy adviser that closely tracks layoffs, that's about how many oil jobs have been lost in 2015 as of Aug. 2. 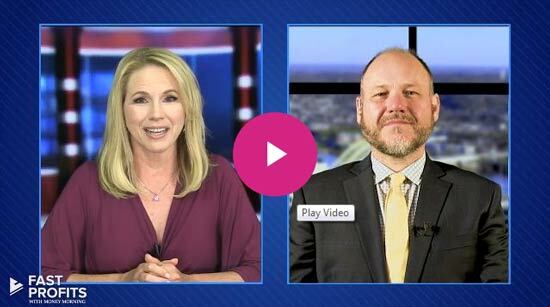 It's a massive hit considering about 600,000 people work in the U.S. energy industry. While layoffs affect office and high-skilled employees, it's mostly the workers laboring in the fields who are at risk. The largest layoffs come from the largest companies – and the oil field services sector has been hit particularly hard. As of May 2014, the combined workforce of Schlumberger Ltd. (NYSE: SLB), Halliburton Co. (NYSE: HAL), and Baker Hughes Inc. (NYSE: BHI) made up 43.2% of U.S. energy employees. That number will become more significant once the Halliburton-Baker Hughes merger finalizes later this year. 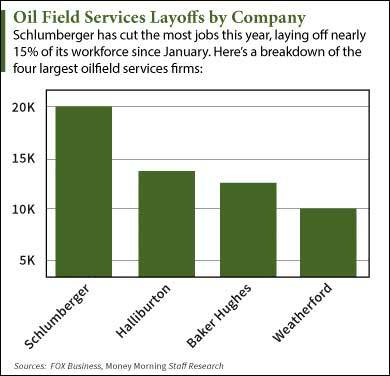 Schlumberger is the top chopper with about 20,000 layoffs. The company slashed 9,000 jobs in January and cut another 11,000 in April. That constitutes 15% of its employees. Weatherford International Plc. (NYSE: WFT) has cut about 10,000 jobs so far, roughly 20% of its workforce. Baker Hughes has laid off 13,000 employees, and Halliburton has gotten rid of nearly 14,000 employees. The reasons why are clear in the Q2 earnings reports. Halliburton posted a 27.2% year-over-year revenue decline due to a constantly falling rig count. Baker Hughes reported a loss of $188 million, or $0.43 a share. Schlumberger saw the worst numbers, with second-quarter profit plunging by 30%. "The abruptness of the fall in activity, particularly in North America, required us to take additional actions," said Schlumberger CEO Paal Kibsgaard in a statement.